Addressing the decline of equitable arts instruction in American public schools, Dr. Hardiman posits the benefits of arts education and arts-integrated learning. This paper touches upon the cognitive, academic, and sociological benefits that the arts bring to instruction to foster a generation of life-long learners. 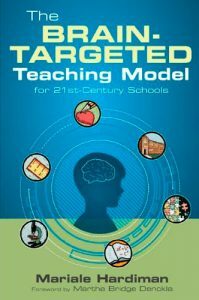 Dr. Hardiman’s new book – the Brain-Targeted Teaching Model for 21st Century Schools – has been published and is now available. As part of a series called ‘Your Brain on Computers’, New York Times reporter Matt Richtel produced an audio slide show called “Images of a Distracted Brain”. For the piece, Richtel participated in an experiment that mapped blood flow in his brain via an MRI while he played a video game. Read the full story on the study at NYTimes.com. Two week-long BTT professional development workshops are being held this summer in the Baltimore-Washington metropolitan area. The first one is co-organized by St. Andrew’s Episcopal School in Potomac, Maryland, for teachers from private and public schools in the Washington, DC area. The second workshop will train teachers at “Roots and Branches” – a new charter school in Baltimore which opens this fall and will use BTT as its pedagogical framework. In addition, teachers from Northwood Elementary School in Baltimore city received BTT professional development training during 2010-2011 school year. 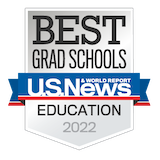 The next face-to-face cohort of the Mind, Brain, and Teaching Certificate begins in the Summer of 2012 and applications are now being accepted. The next online cohort will begining Fall, 2013. In May 2011, Dr. Hardiman was invited to present at the Sixth Annual Conference on Learning Differences sponsored in part by the Greek Ministry of Education and Stavros Niarchos Foundation. American Community School in Athens, the conference organizer, is interested in implementing the Brain-Targeted TeachingTM as their instructional framework. In June 2011, Dr. Hardiman traveled to California to meet with the representatives from the Disney Corporation, Academy of Television Arts & Sciences Foundation, Sony Screen Gems, the California State Summer School for the Arts, the Los Angeles Partnership Schools, and others, who are excited about the BTT and interested in learning more and using it in their work. Two school-based research studies are underway. The first study, conducted during 2010-2011 school year, investigates how knowledge of brain science influences teachers’ instructional practices. The second study, which will start in the fall of 2011, looks at the effects of Arts Integration on students’ memory for content. The popularization of neuroscientific ideas about learning poses a real challenge for classroom teachers who want to understand how children learn. In our new article “Neuroethics, Neuroeducation, and Classroom Teaching: Where the Brain Science Meets Pedagogy” we explore unique ethical issues that neuroeducation raises for five different groups of individuals: a) practicing teachers, b) neuroscience researchers whose work could inform education, c) publishers and the popular media, d) educational policy-makers, and e) university-level teacher educators. We suggest ways in which these ethical challenges can be met and provide a model for teacher preparation that will enable teachers themselves to translate findings from the neuro-and cognitive sciences and use legitimate research to inform how they design and deliver effective instruction. In recent years, the practice of arts integration—the use of arts activities to teach content in core subject areas—has steadily gained in popularity. However, explanations for why arts integration is useful as a pedagogical tool tend to be muddled. In response, Rinne, Gregory, Yarmolinskaya, and Hardiman (2011) lay out a clear case for the effectiveness of arts integration in their recently published article, “Why Arts Integration Improves Long-Term Retention of Content.” This groundbreaking paper explains how arts integration leverages a variety of factors long known in cognitive psychology to improve memory for information. Armed with the arguments provided by Rinne et al., educators now have a clear rationale for teaching through the arts, which will help ensure that arts integration is not just the next passing fad, but rather is recognized as the powerful instructional tool that it is.